Kara O'Mula Country Lodge is located at a pristine site at the foot of the magnificent Mulanje Mountain. The main structure is a 1905 renovated colonial building that was the residence of the district commissioner.Likhubula Falls and the Dziwe la Nkhalamba natural pool are only 12 kilometres away. 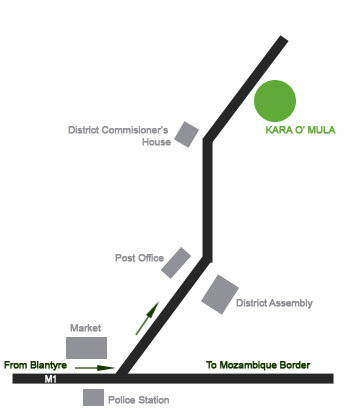 From Blantyre via the scenic rolling green tea fields and natural woods through the Thyolo road; or via the 19km shorter Robert Mugabe Highway.